Glamping - The Crayfish Trail Co. 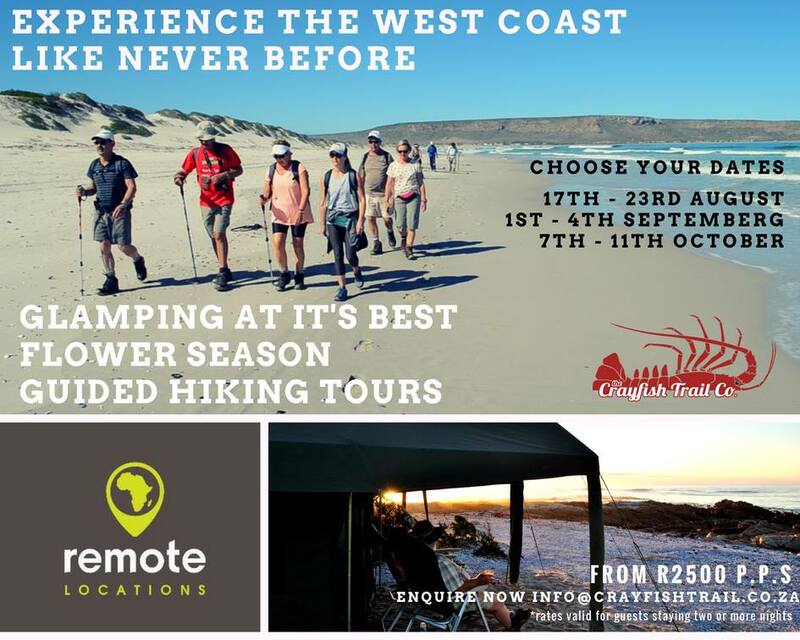 The Crayfish Trail has teamed up with Remote Locations to offer an exclusive experience along this magnificent coastline. Base camp will be in luxury tented accommodation at the private nature reserve of Zevenputs outside of Lambert’s Bay. Spend your days on our guided hiking tour which follows the Crayfish Trail itinerary while overnighting at the exclusive remote locations base camp.